375 g The world's tastiest berry, blended to perfection with the world's tastiest honey. 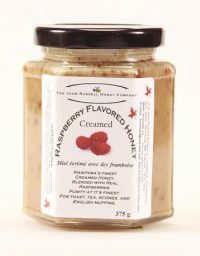 We take Raspberries and mix them with John Russell's Creamed Clover Honey to create a beautiful healthy snack. Try some alone, or on muffins, toast, or in tea!